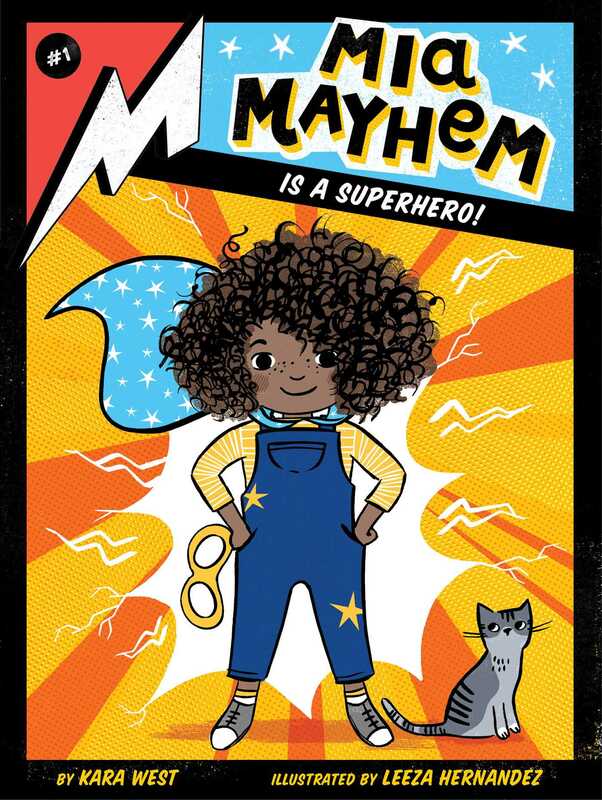 Meet Mia Macarooney, an ordinary eight-year-old who finds out she has an extraordinary super-secret in this first chapter book in the brand-new Mia Mayhem series! Mia Macarooney is a regular eight-year-old girl who finds out that she’s A SUPERHERO! Her life literally goes from totally ordinary to totally super when she’s invited to attend the afterschool Program for In-Training Superheroes a.k.a. THE PITS! And the crazy thing is, in a weird meant-to-be sort of way, all of this news somehow feels super right. Because all her life, Mia thought she was just super klutz...but it turns out, she’s just SUPER! So now, it’s up to Mia to balance her regular everyday life and maintain her secret identity as she learns how to be the world’s newest superhero! Book Cover Image (jpg): Mia Mayhem Is a Superhero!